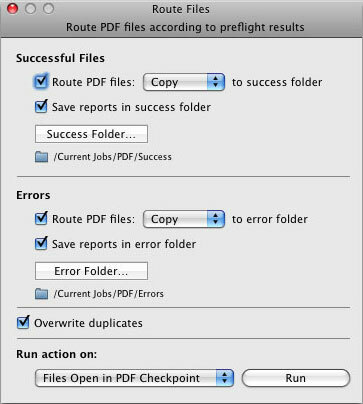 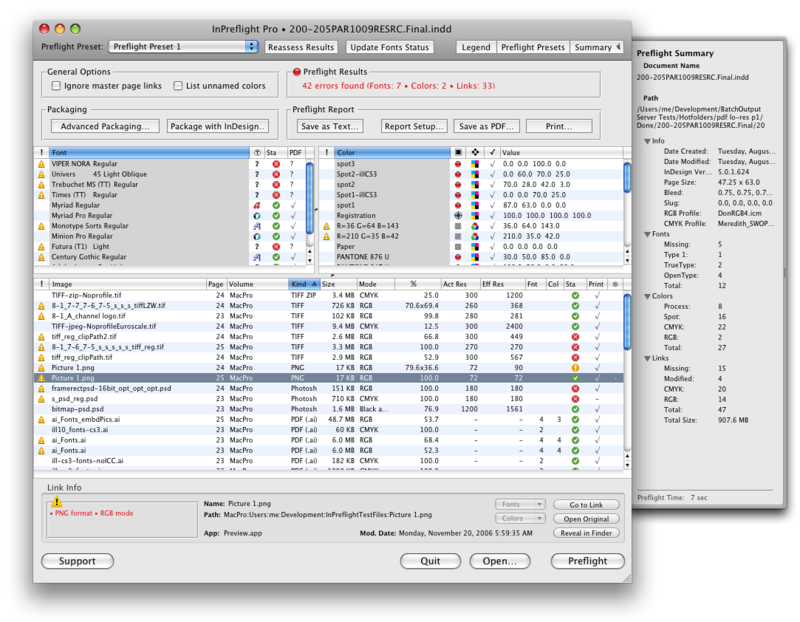 PDF Checkpoint can automatically move PDFs to success and error folders after preflighting and save a preflight report for each file. 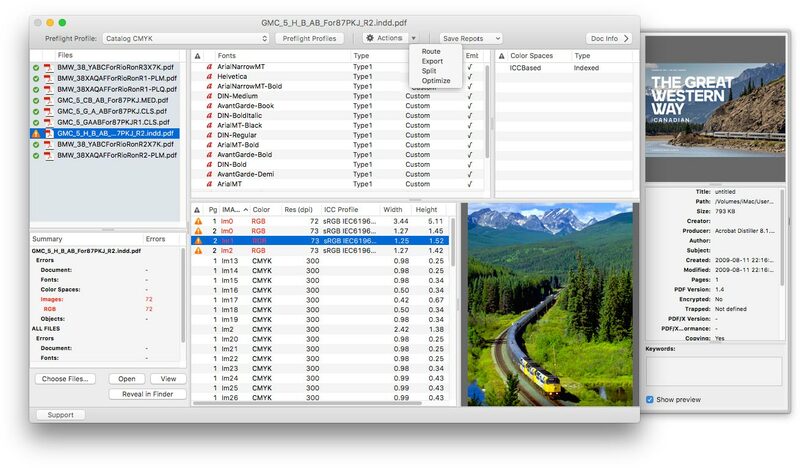 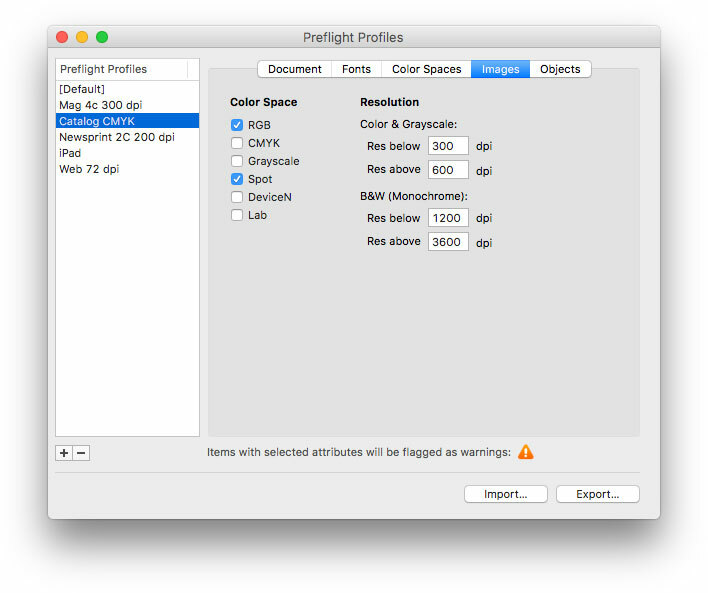 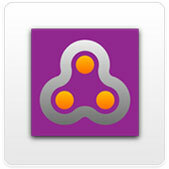 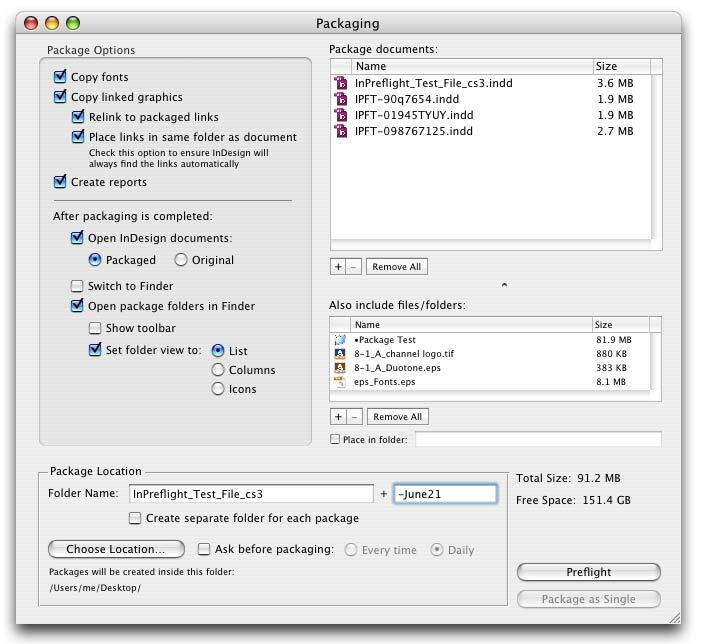 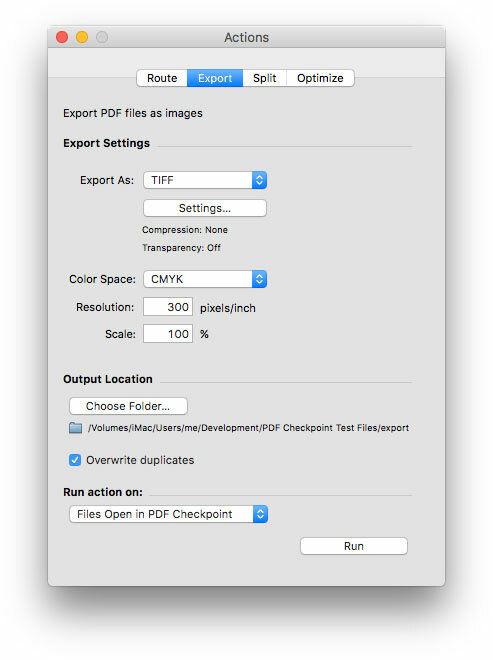 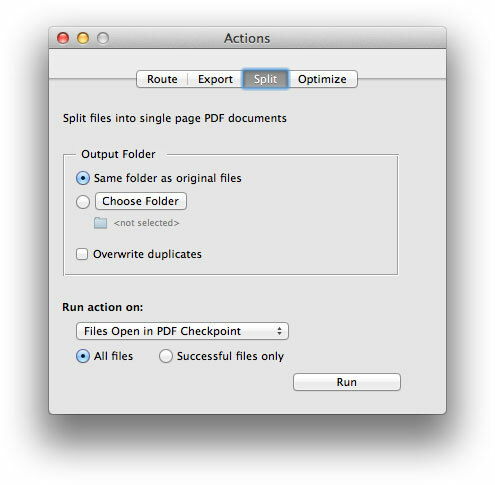 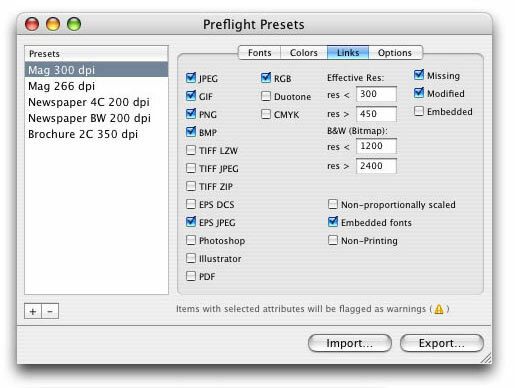 Batch export PDF files as TIFF, JPEG, PNG, GIF or BMP in RGB, CMYK or Grayscale. 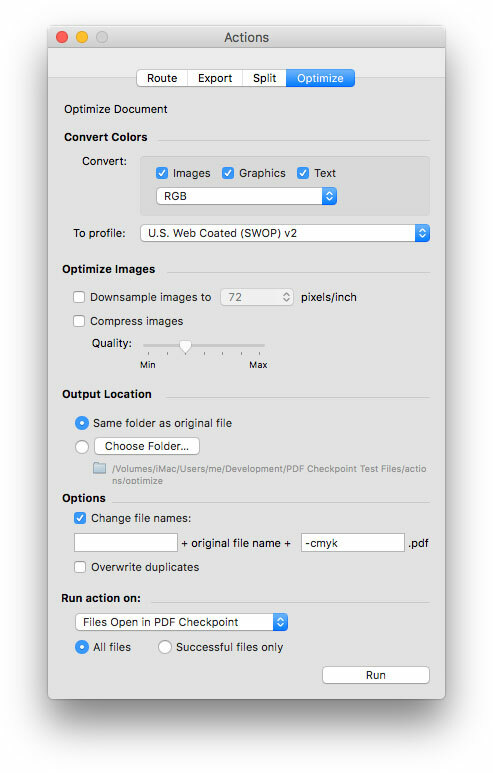 Specify image resolution and page scale.